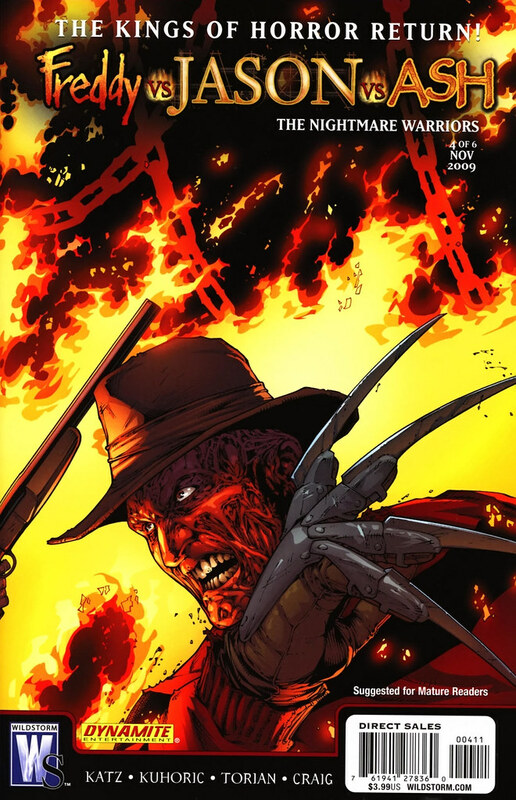 In 2007, Dynamite Comics and Wildstorm Entertainment combined forces to publish the horror comic crossover Freddy vs Jason vs Ash. The epic crossover was a 6 issue limited series written by James Kuhoric and Jeff Katz and drawn by Jason Craig. The awesome puzzle cover above for issue #1 was actually drawn by J Scott Campbell and Eric Powell. You can click it to see it bigger on Flickr. This series was based on a script treatment written by Jeff Katz. 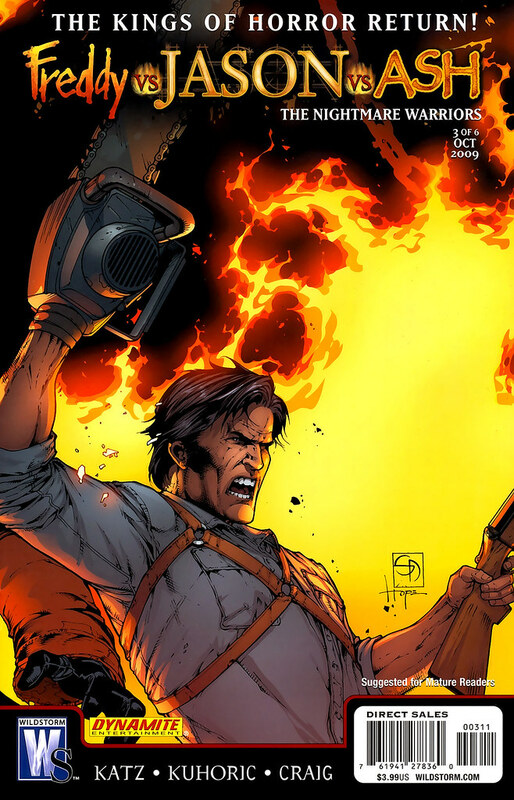 The story served as a sequel to Freddy vs Jason as well as the Evil Dead series. However, I think the licensing for Ash fell through and the studios decided to go another way. So the story never went any further. However, Katz kept his treatment alive and actively campaigned to get it made into a comic book. Will and Lori, from Freddy vs Jason, return to Crystal Lake to get closure and finish off Jason once and for all. However, Jason kills them. We learn that Freddy is trapped inside Jason’s mind and is using the image of Jason’s mother to convince him to find the Necronomicon and deliver it to Freddy. Freddy plans to use it to escape into the real world. Meanwhile, Ash is transferred to the Forest Green (formerly Crystal Lake) S-Mart and identifies the recent spate of disappearances and murders as the work of Deadites. Ash gathers the teenage crew of the S-Mart to confront Jason and a newly formed and fully powered Freddy. A bloodletting ensues. There’s even a scene in which Freddy resurrects all of Jason’s previous victims in order to stop him when he turns on Freddy. Pretty cool stuff. I could see this being a worthy entry into the franchises. Again, this seems to be Freddy’s story in which Jason and Ash make appearances. I like how it was handled and it would have been fun to see this on the big screen. And the artwork was really good as well. 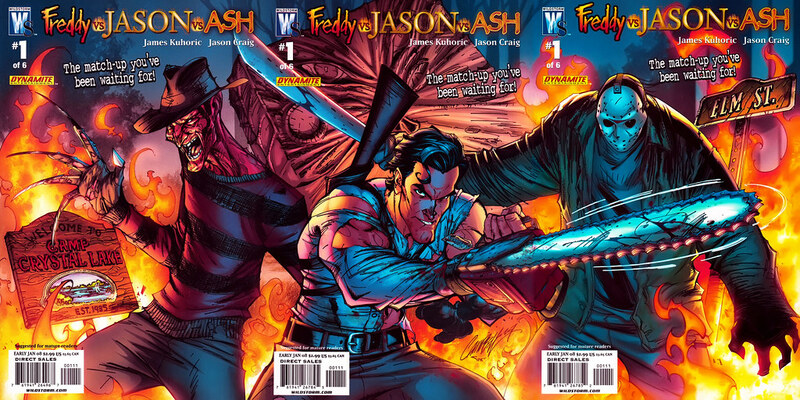 In 2009, Jeff Katz and James Kuhoric returned to write a sequel called Freddy vs Jason vs Ash: Nightmare Warriors. The government resurrects Jason and Freddy looking to harness their supernatural abilities and the power of the Necronomicon to create an army of demonic soldiers. However, as you’d expect, the government can’t control them and they get loose. Ash forms a team to fight the monsters, known informally as the Nightmare Warriors. It includes former franchise characters Tommy Jarvis who appeared in Friday the 13th Parts 4-6 and Tina Shepard who appeared in part 7 and has telekinetic powers. Again, the story is fun and a definite horror fanboy’s dream. Lots of killing and HUGE epic fights. There’s also some subplots talking about how the original Freddy used the Necronomicon to become the dream being he is now. Very cool stuff. I highly recommend it. 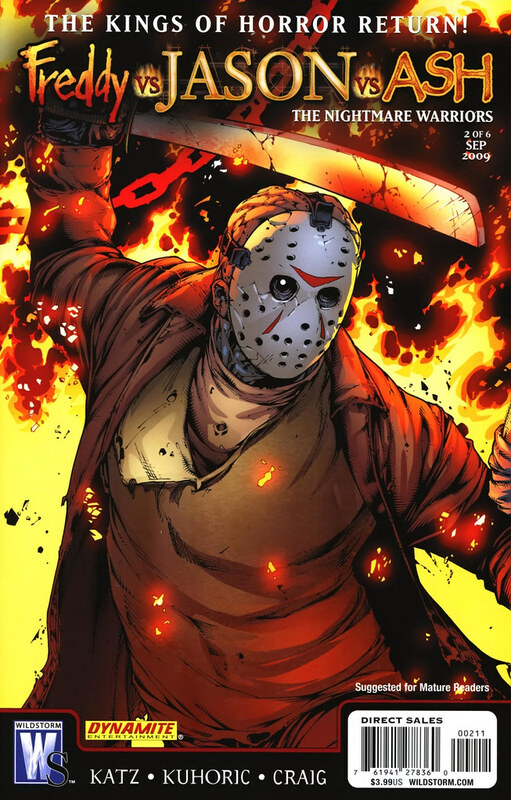 This entry was posted on October 22, 2012 at 10:00 am and is filed under Friday the 13th, Jason Vorhees, Leatherface, movies, pop culture, Texas Chainsaw Massacre with tags AWESOME-tober-fest, AWESOME-tober-fest 2012, Evil Dead, Freddy Krueger, Friday the 13th, Halloween, holiday, Jason Voorhees, Leatherface, movies, Nightmare on Elm Street, pop culture. You can follow any responses to this entry through the RSS 2.0 feed. You can skip to the end and leave a response. Pinging is currently not allowed.